A VPS (or Virtual Private Server) is basically a virtual machine that exists on physical hardware. A VPS is often regarded as a fully independent virtual computer that can be tailored and configured in a variety of ways to suit the user. 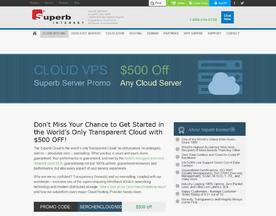 VPS is seen as the precursor to Cloud Servers. Cloud VPS provides similar functionality to VPS but the resources are on-demand and the assets that are needed for your site to function correctly are located on multiple servers. This model provides shared resources and services billed based on usage.